Aviation-grade aluminum is known for being incredibly strong. It creates a highly durable hiking stick. 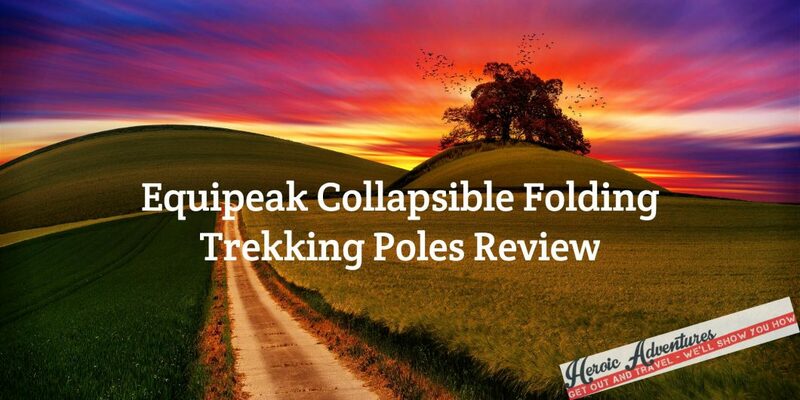 Equipeak’s poles are crafted from 7075 aviation-grade aluminum, giving them the durability needed to survive years of trekking. They provide the confidence to trek rocky mountains, walk the steepest streets, or hike along a terrain that varies in difficulty. The following review details each of the features that make this set of poles user-friendly in every way. These poles are light enough to carry, strong enough to last, and adjustable. Keep reading to find out why so many outdoor enthusiasts enjoy using this set of poles. It’s even available in two sizes.